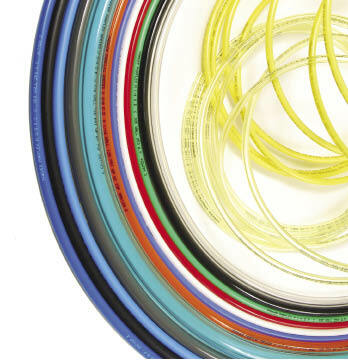 Nycoil manufactures thermoplastic tubing for pneumatic applications. There are three thermoplastic tubing compounds used for the majority of pneumatic lines: Nylon, Polyethylene and Polyurethane. All three offer distinct advantages. Selecting the one that best fits a particular job should be done only after all of the application requirements are carefully considered. For more information on selection, please refer to the Technical Section located in the Product Details. For detailed information, visit the pages below or contact us at nycoil@nycoil.com.